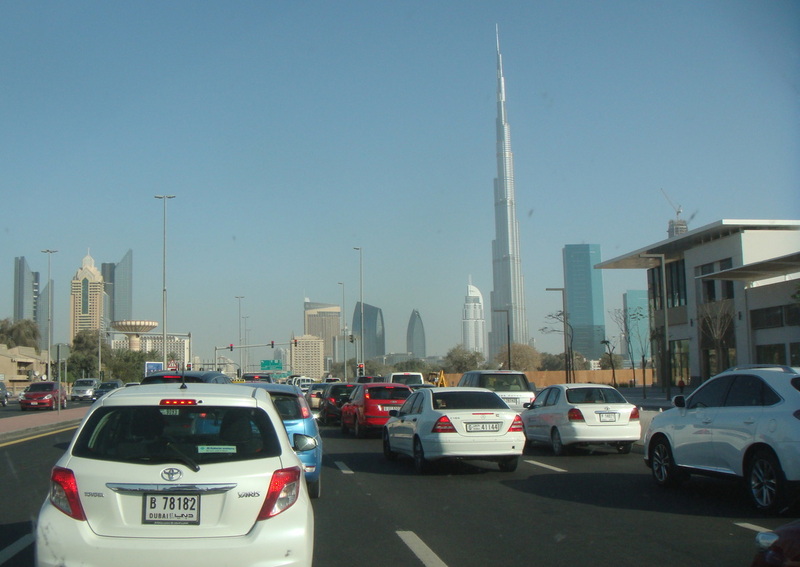 I had a really great time visiting some awesome friends of mine, now residing in Dubai. 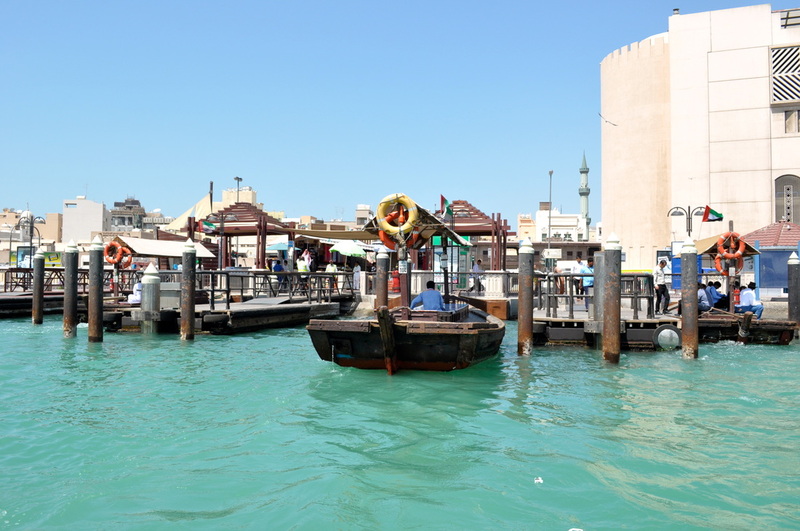 We did a lot of the usual tourist stuff, (click here for my Blog Post on Dubai), although, due to a knee injury, it was quite difficult for me to do a lot of walking. Instead, we had to spend quite a bit of time at the pool and the beach (so hard), as well as visiting some cool bars and restaurants. Being a Muslim Country, there is no alcohol served in restaurants in Dubai, unless you are in a Hotel bar/restaurant. My friends were telling me that they had applied for a liquor license, this means they would then be allowed to go to one of the very few liquor stores in Dubai to buy a limited amount of alcohol. Of course you can bring duty free into Dubai to consume in your own home, but the quantity is limited. The prices of food and drink in Dubai seemed to me to be a little less expensive than Singapore. There were lots of Happy Hours and specials to be taken advantage of though - always a good thing. 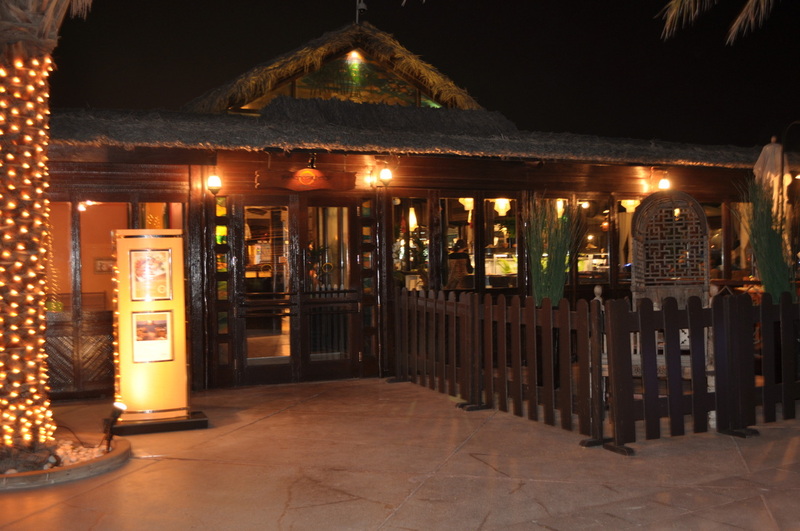 The first night we went to a restaurant called Beachcombers at The Jumeirah Beach Hotel. 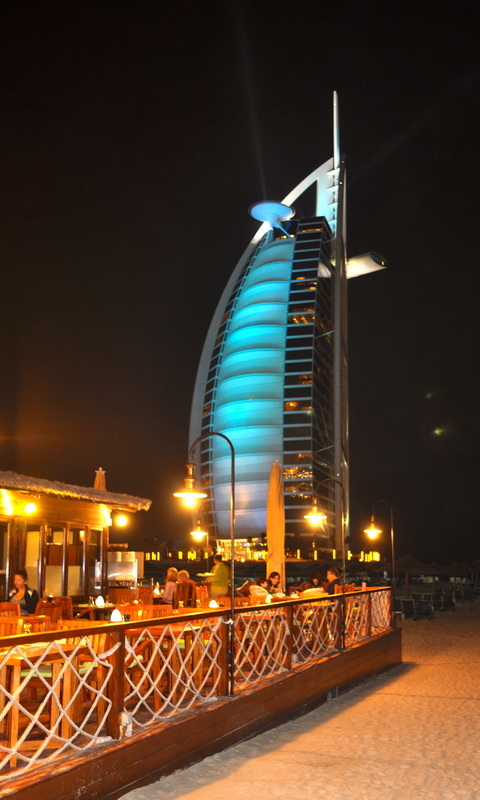 This was an Asian style buffet restaurant, with an awsome view of another iconic building in Dubai, The Burj Al Arab. 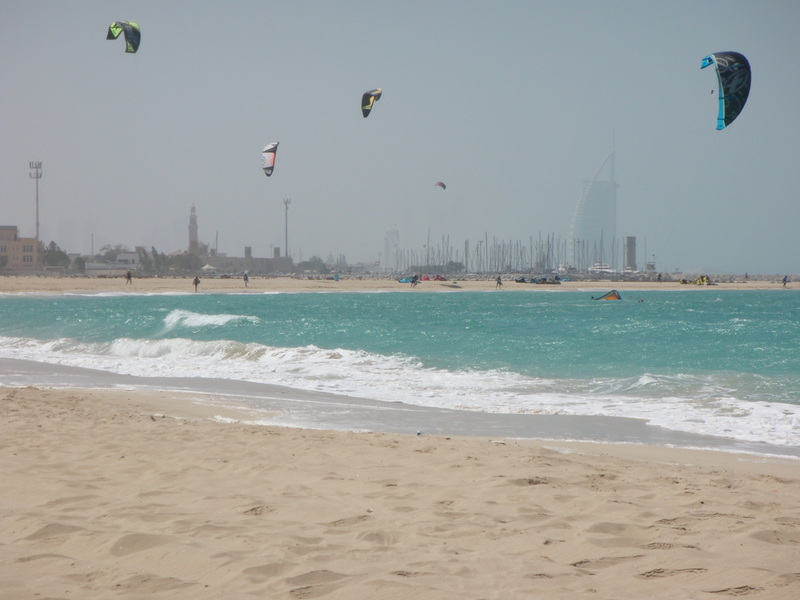 The Burj Al Arab dominates the beach skyline, like a sail. At nightime it is beautifully lit, with the colors changing throughout the evening. Just beautiful. We had a fun day visiting the old Gold Souk. Wall to wall jewelry stores and also some interesting little side alleys with stores selling spices, trinkets and all sorts of stuff. Came across a very interesting store selling spices and something I have never seen before - dried limes! 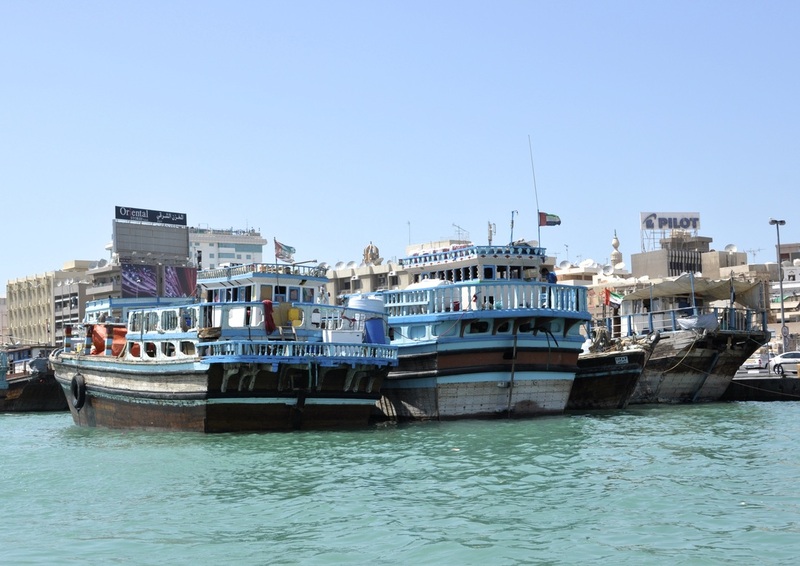 From the Gold Souk, we made our way to the Dubai Creek or the Khor Dubai as it is also known. This saltwater creek bustled with trading activity. 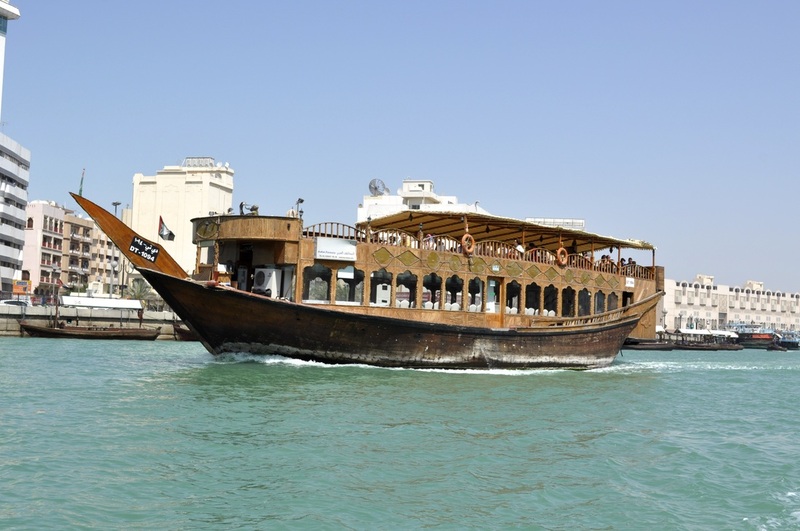 Dhows, the big sturdy ships used for transporting goods in the region, were numerous and berthed all the way along the creek. Their goods, stacked all over the wharf/dock areas, included among all things, a big pile of brand new fridges. 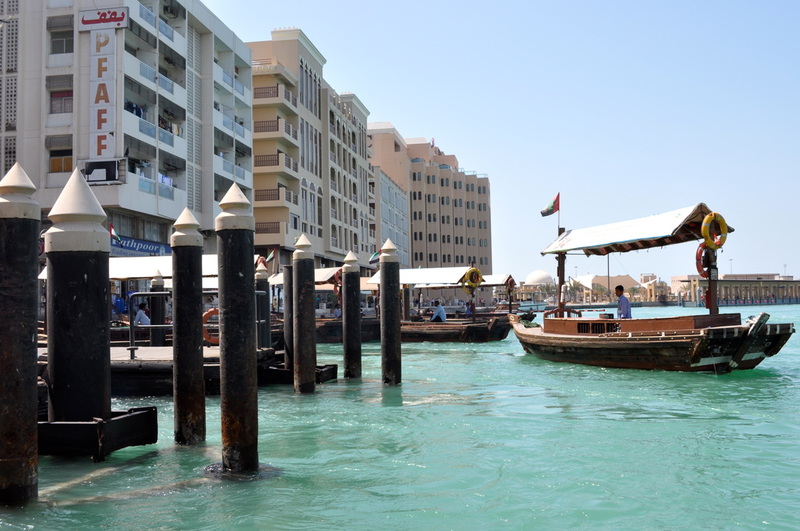 Some of the Dhows also saw use as cruise ships, taking visitors up and down the creek. 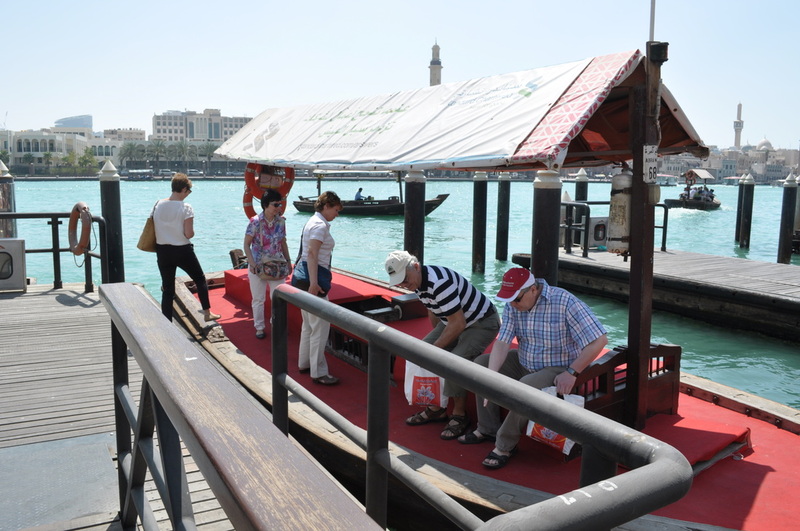 Whilst we didn't do a cruise, we did take a water taxi or "Abra" from the Deira side where the Gold Souk was, to the Bur Dubai on the other side. Getting ready to board our "Abra"
A dhow being used for tourist cruises up and down the creek. 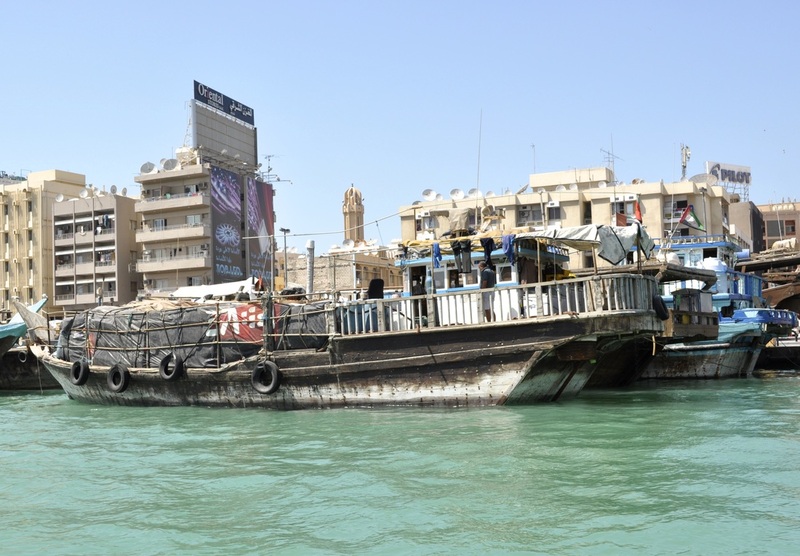 Once we were on the Bur Dubai side of "The Creek", we took a walk around. We ventured through some very interesting little streets with stalls. The colors and fabrics were just amazing. We ended up at the Bastakiyya Heritage Village and lunch at a cute cafe called The Arabian Tea House. 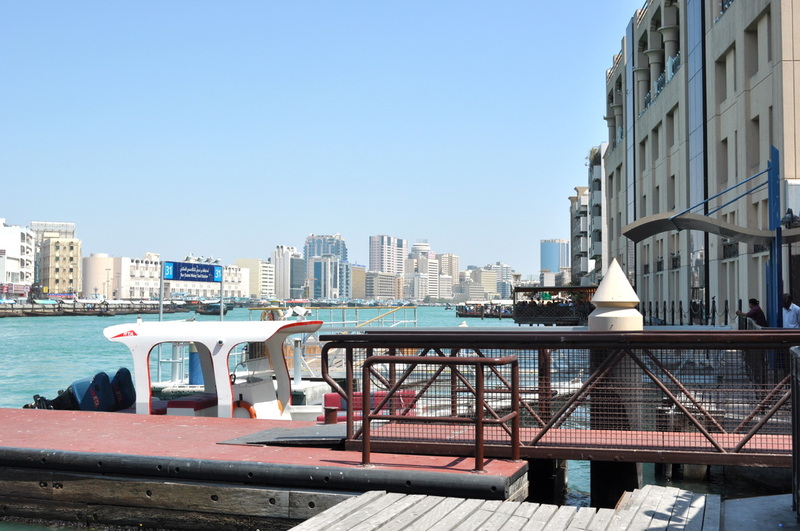 From 2005 onwards a restauration campaign was initiated under the supervision of Dubai Culture and Arts Authority, to turn the area into a tourist attraction. It is especially known for its famous wind towers (to provide cooling in the pre-electricity era), the narrow winding roads cut off to traffic, and houses built in the old style, with small rooms around multiple courtyards. 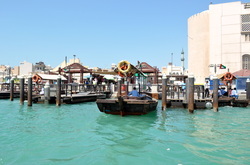 It is at a short walking distance from Al Fahidi Fort, which houses the Dubai Museum. 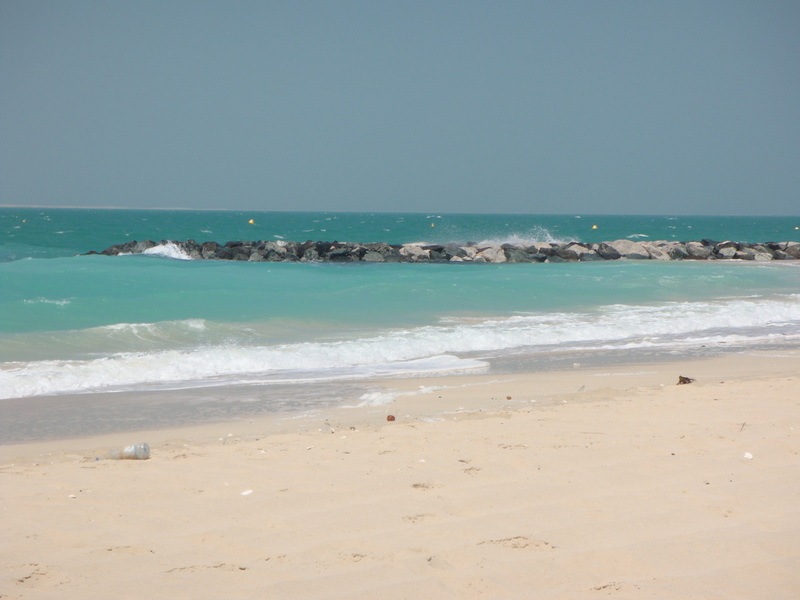 Also managed to spend some time on the beach, Jumeirah Beach to be exact. 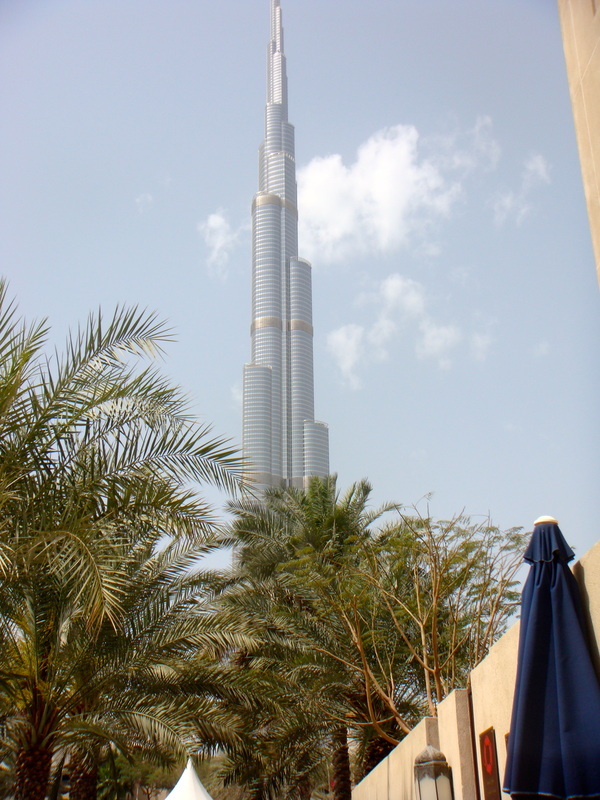 The weather in Dubai in March is just perfect, lovely and warm (around 28°C or 82°F). In the summer months it will become unbearably hot, by August it will reach 41°C or 106°F. Sitting on the beach with a nice breeze blowing, watching the kite surfers whizz and wing their way across the water was wonderful. 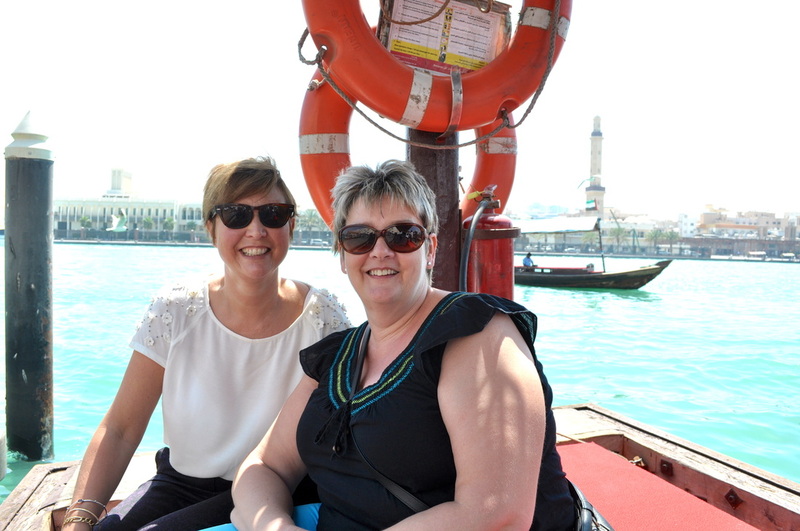 Though my time in Dubai was short, it was great to catch up with my friends and see the sights. 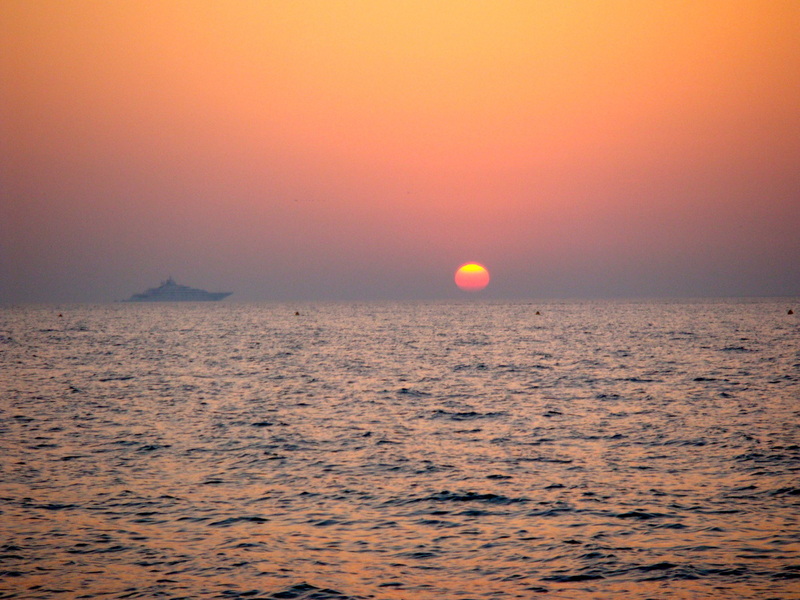 We had some great evenings out, some great restaurants and Hotel complexes there. It is definitely somewhere I would like to return to one day. As usual I took tons and tons of photos, so I leave you with a slide show of pictures I took during the trip. Enjoy!